The session may be of interest to staff who have limited direct influence over the actual academic content or influence over how the curriculum is delivered (e.g. Learning Designers, Student Learning Advisors, and some Course Coordinators). 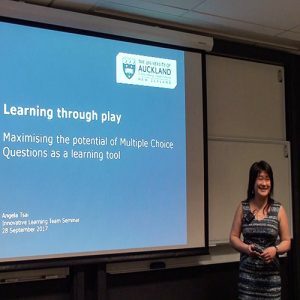 Angela Tsai is a Professional Teaching Fellow in FMHS where she contributes towards a number of MEDSCI courses. 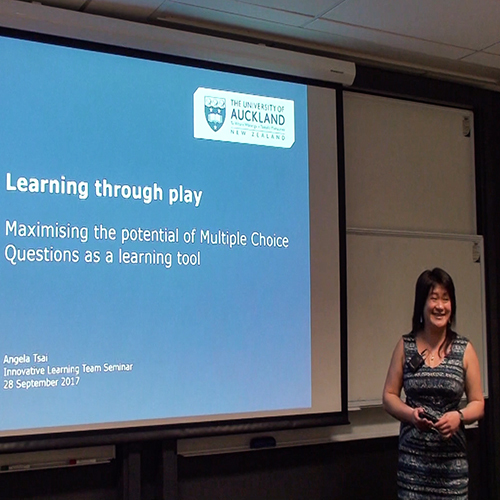 Angela completed the PGCert (Academic Practice) in 2013 and was a CLeaR Fellow in 2015. Her Fellowship project took a multi-pronged approach toward enhancing student engagement and achievement in a large Stage 1 introductory biology course. Angela loves all things learning and teaching and enjoys meeting other colleagues who share the same passion. She is pursuing part-time Doctoral studies with the Faculty of Education and Social Work.